I wrote this in preparation for the Seniors Seminar in Belgium which was held over this weekend,with the indulgence of the ABKF. This seminar was based on a number of posts that I have written over the years with thoughts about how we can continue enjoy kendo into old age. Work on your cutting action so that it is smooth and relaxed – do not use unnecessary energy by being stiff. Develop strong kihaku but keep your upper body relaxed. – Learn to put your opponent under pressure and train to push power down from your shoulders to your abdomen. Continue to strive to go forward with maximum speed when you make shikake waza, but work on your footwork so that you do not waste energy by lifting your right foot unnecessarily high. Work on seme – making the opportunity is like baking the cake, the strike that follows is the icing. Train your breathing – work on holding breath in your abdomen when holding “tame”; explode when you strike. Control your footwork to take advantage of your opponent’s forward movement when you make oji waza – use hikidasu to draw him or her into your space. How can we train to achieve this? Stick with the basics – practice suburi and kiri-kaeshi. Work on big correct waza, pay attention to cutting action, hasuji and tenouchi. Practice oji waza drills until you own each technique, experiment with managing footwork distance to reach the target, taking the forward movement of your opponent into consideration. Don’t stop kakarigeiko – do it bigger and slower with strong spirit. Try seme- geiko – develop your ability to make the opportunity. Sweat the small stuff – be aware of the correctness of your posture, bow and sonkyo – aim at developing kigurai, remember that each keiko starts with the first rei. 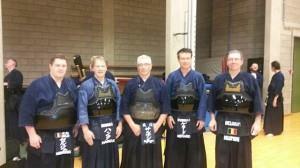 I recently received an invitation from the Belgian Kendo Federation to run a weekend seminar next June for kenshi aged over 50. I am really excited about the prospect of doing so, as over the past few years I have put quite a lot of thought into how we can get the most out of our kendo as we get older. The seminar will be held between the 19th and 21st of June and on the final day there will be a competition for participants. My aim is to share the information that I have gleaned from various sensei on how to make keiko meaningful and enjoyable, even if our physical powers are staring to wane. 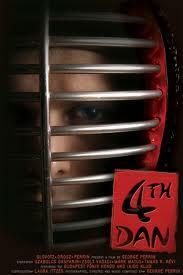 As we get older it is tempting to take our “foot of the gas” and use less energy in our kendo. 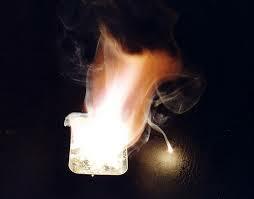 Conserving energy is essential, but at the same time our intensity should not decrease. We should relax, but be able to explode when we see an opportunity. The “feather in a hurricane” analogy that I have mentioned in previous posts, is a good summary of how we should relax, but at the same time be able to concentrate energy at the crucial moment. To achieve this we need to continue to practise kiri-kaeshi and kakarigeiko, but in a very different way to our younger friends. Kihaku and good posture need to take over from work rate. We should relax but stay in what the ZNKR defines as “high spirits”, so that we are able to use what power we have when there is a real opportunity to attack. The other crucial element is to use your experience to make the opponent do the work. If you can invite the other person to step into your distance, you have less far to travel to make your attack. The concept of hikidasu, or “to draw in“, is the way to conserve your own energy whilst making him or her come to you. Basics are increasingly important as you age. If your footwork is incorrect, it is tiring, and worse still, potentially damaging to aging knees. A recent study by Imafuku Ichiju looked at t the “piston” method of pushing off from the left foot used by younger kenshi and the way to swing the right foot forward as you push off from the left being more appropriate to older kendoka. 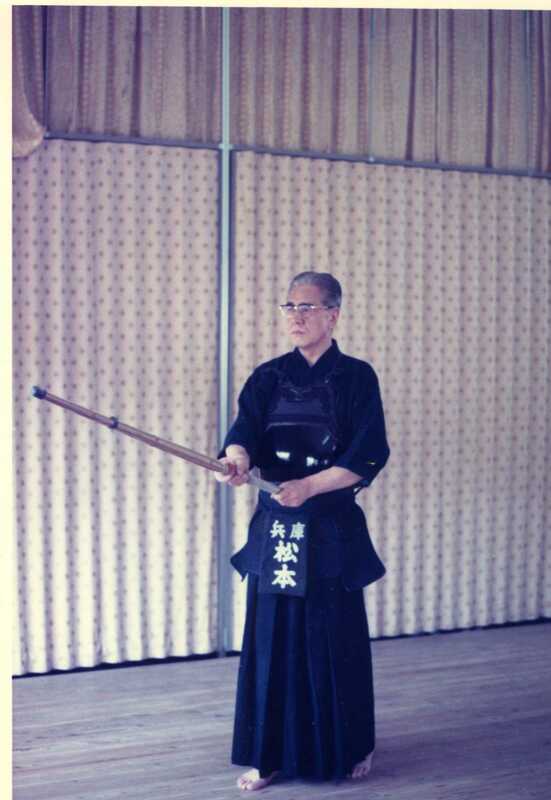 The one piece of advice for making the most of kendo as you age that I have not acted upon, came from Kawase sensei, who suggested that it is best to keep slim. Still, I have a year before the seminar to lose a few pounds. Every time I come back from Japan, the intensity level of my keiko increases. Most strong sensei teach that the best way to improve your kendo is to train giving it 100 percent for limited periods and I buy into this concept completely. Friends who run other dojo in the UK, and in some other European countries take a different view. They tell me that training should be pleasurable and that by deing too demanding they are likely to lose students, particularly those just starting their kendo career. They also quote the old chestnut “westerners are different” and we should do things our own way. Traditionally there have been differences. Someone who started Kendo at age 7 and kept going through the school system to university can have 13/14 years experience and the heart and lungs of a twenty year old. He or she should constantly want to push harder to achieve kendo goals, but with the demise of kendo as a compulsory school sport in Japan and with more children’s clubs being started in other countries, it might be that the 14 year experienced 20 year old is a European and a Japanese or Korean beginner is a 40 year old lady. Yet age for age I believe they train harder than we do. Gigeiko is fun! Kirikaeshi, uchikomigeiko and kakarigeiko are not. Done correctly with strong kiai and correct breathing these exercises constantly take you out of your comfort factor, but they certainly improve your kendo. The challenge for dojo leaders is to persuade students that a one hour keiko session should be broken down into 45 minutes of kihon drills and 15 minutes of gigeiko. This applies to practice amongst kendoka of a similar level, if you are practising with senior sensei then don’t worry. Just wait for your turn and they will normally step up the practice to match and stretch your capabilities.